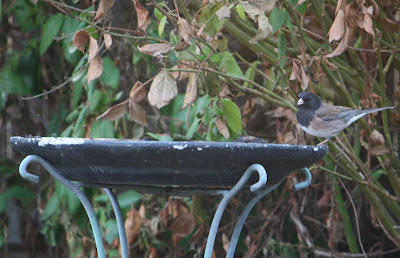 One of our winter residents - an Oregon Junco. These birds will leave when spring arrives. Who would winter in Boise? haha Do they live in Oregon during the summer? I will miss them and be anxious for their return.